And now we commence the month of constantly writing the wrong year on everything. Since everyone will spend the next 11 months (or ok maybe more like 2 weeks) at the gym and focusing on health and wellness, I thought this would be the perfect time to share a lightened up twist on a classic. 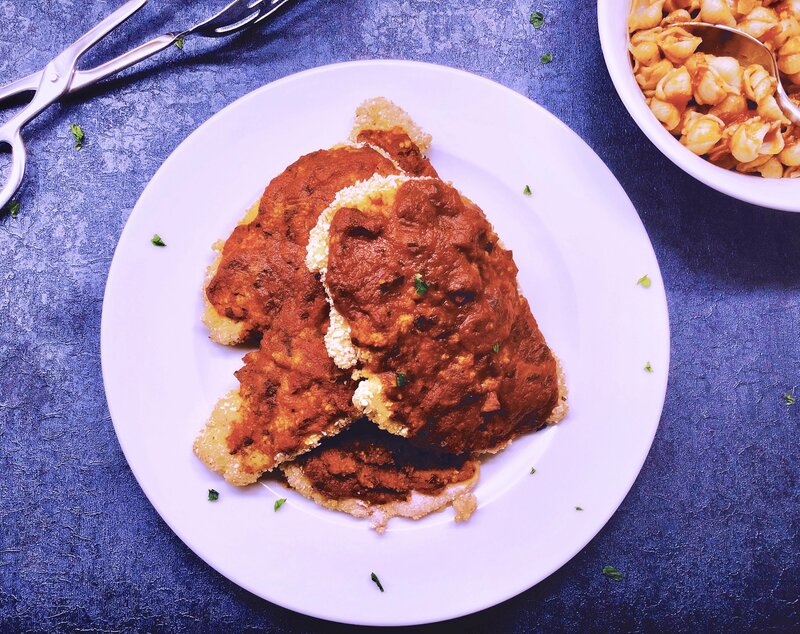 Behold, Chicken Un-Parmesan (Chicken Marinara). Incredibly easy to make, super delicious, and with a bit less guilt. Preheat oven to 450 degrees. Line sheet pan with aluminum foil and spray with cooking spray. 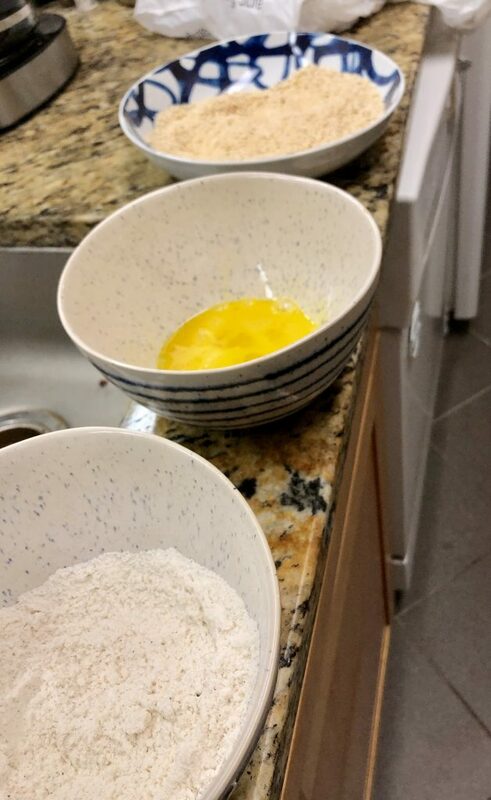 Set up your dipping workspace and in separate bowls, make the flour mix, beat the eggs, and make the breading mix. 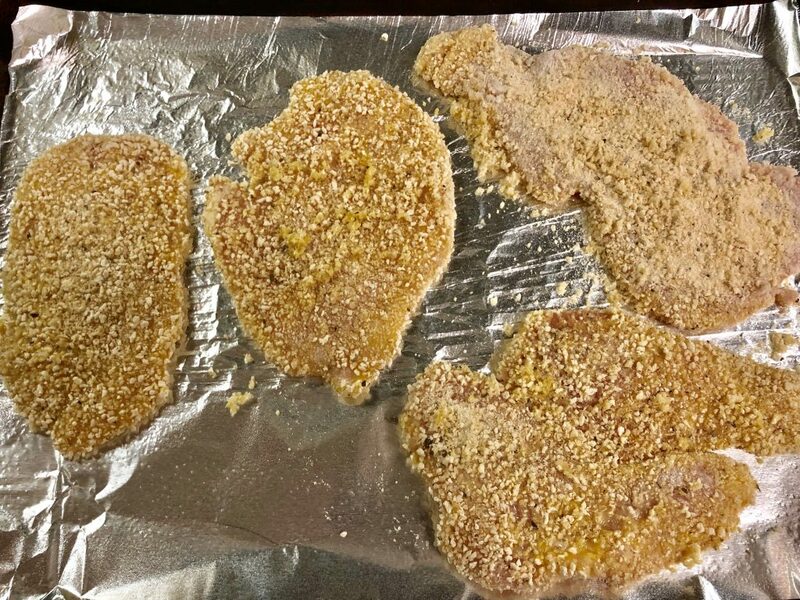 Once set up, your counter should be: (in order) chicken, flour mix, egg, breading mix, prepared sheet pan. 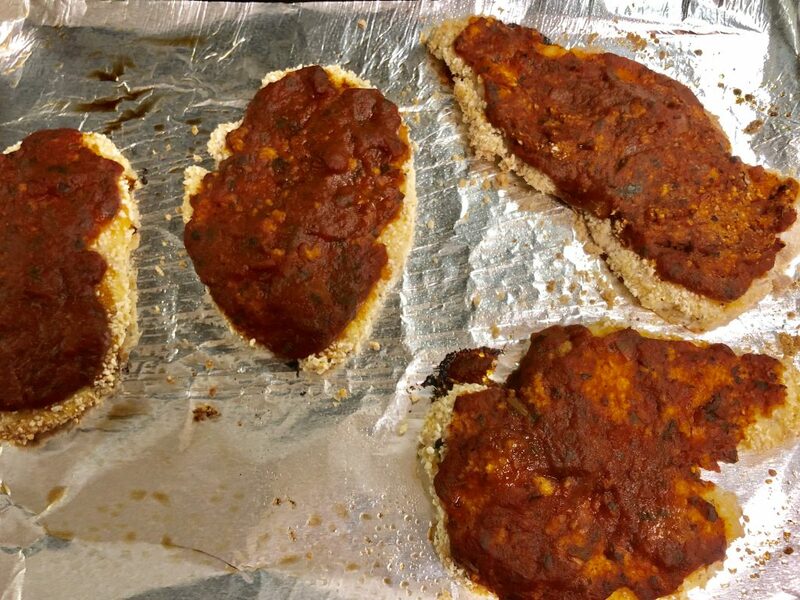 Pour the tomato sauce into a dish/bowl and spoon it on to each cutlet. I like to gently spread it as close to the edges as I can. 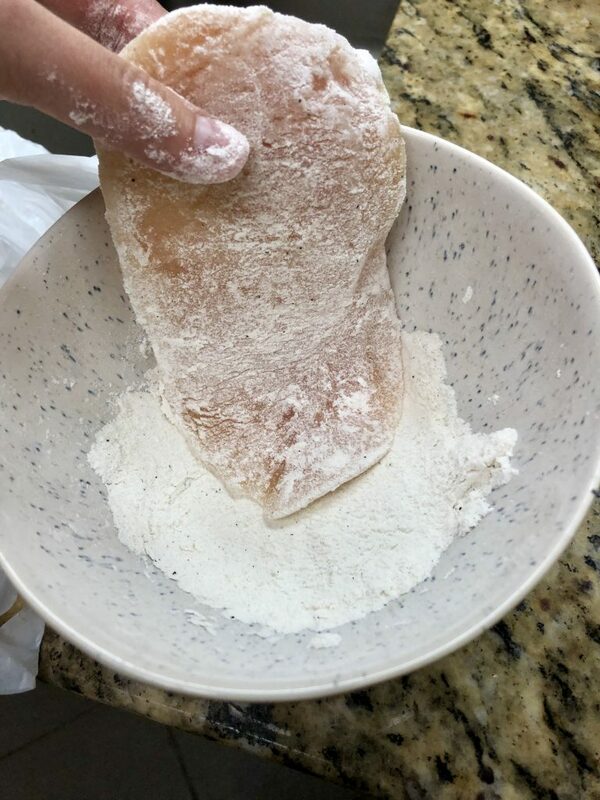 Don’t forget that if you touch your spoon to the chicken and back into the sauce, you’ll need to discard any extra sauce in the dish. Bake for 18-20 minutes or until the internal temperature reaches 165 degrees. 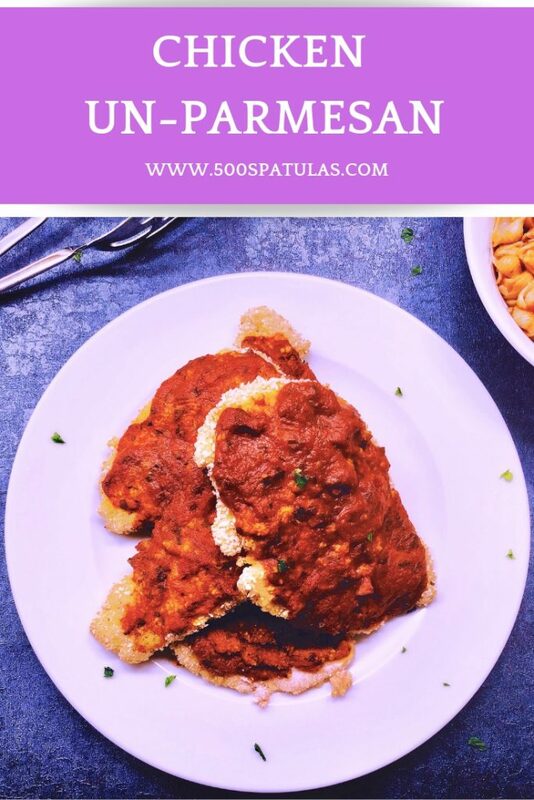 Thicker cutlets will take 35 – 50 minutes depending on thickness. 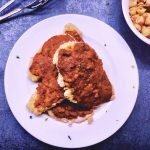 Serve with your favorite pasta or zoodle! Buon Appetito! 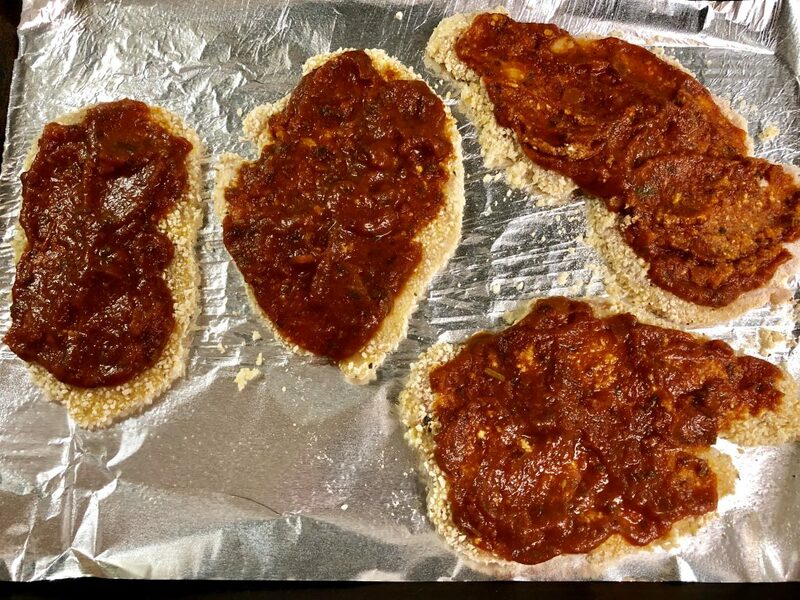 Pour the tomato sauce into a dish/bowl and spoon it on to each cutlet. I like to gently spread it as close to the edges as I can. 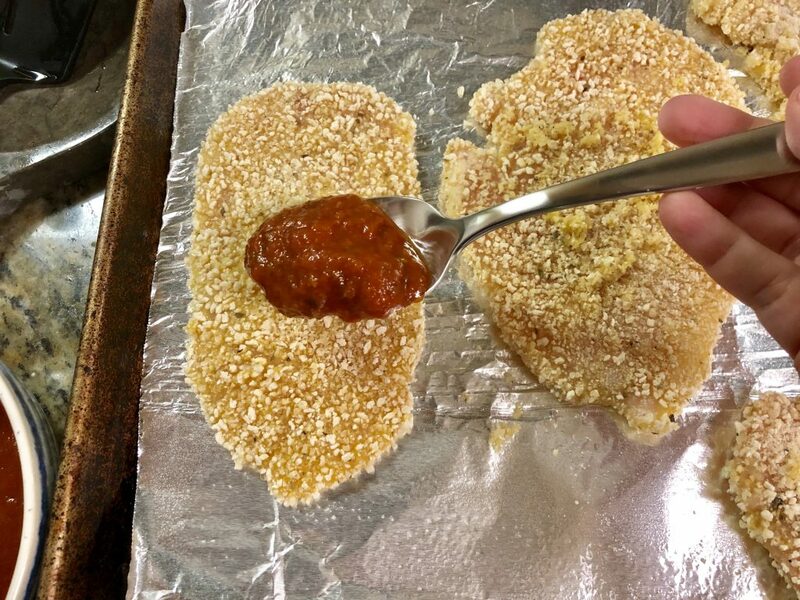 Don’t forget that if you touch your spoon to the chicken and back into the sauce, you’ll need to discard any extra sauce in the dish. Bake for 18 – 20 minutes or until the internal temperature reaches 165 degrees. 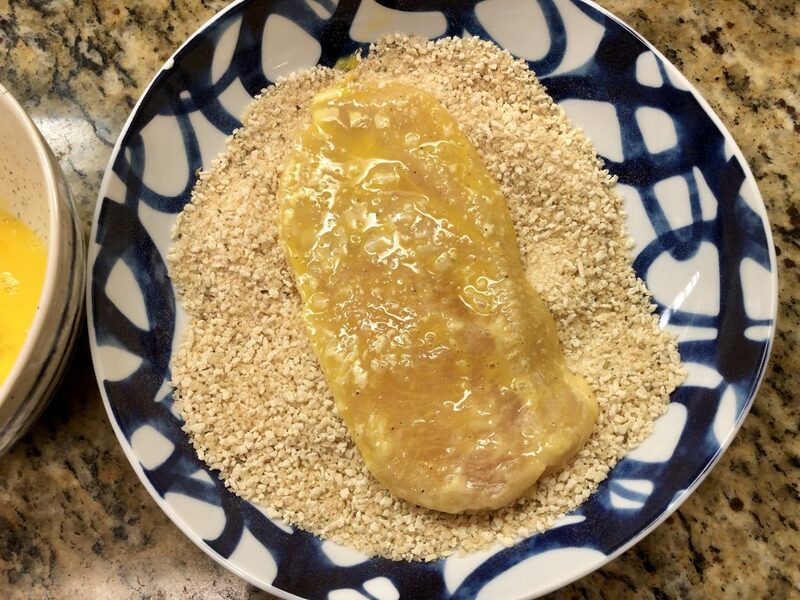 Thicker cutlets will take 35 – 50 minutes depending on thickness.